If you are new to wine, you probably have many questions. You may wonder the difference between red and white wine, how it’s made, or even the difference in flavor. Rabun ABC Package Store in Clayton, GA, which boasts the area’s largest wine selection, offers a brief guide on red wine versus white wine. In the simplest of terms, red wines are made with red grapes, and white wines are made with green grapes. However, the difference in the two stems from what are called tannins. Tannins are a component of the grape found in the skin and seeds of the grapes. During the fermentation process, the entire grapes, including the seeds and stems are used to make red wines, which causes its red color. 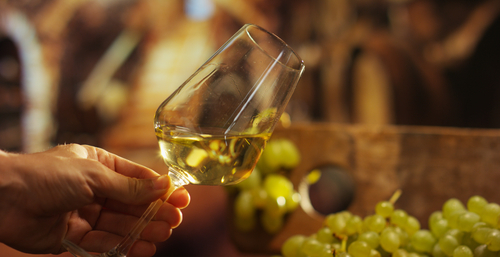 White wines, however, only use the juice from the grape in the fermentation process. Red wines have a higher alcohol content than white wines. The reason for the difference is the time the grapes are harvested. The grapes for red wines are picked at higher ripeness than white grapes. As a result, the higher sugar content in red wines tends to have a higher alcohol content. Red wines are full-bodied wines with a richer flavor profile. Their flavors range from fruity to meaty, and they can even have a spicy taste. White wines, on the other hand, are simpler in taste. They typically have a lighter or more floral taste and will often have undertones of citrus. Although there are some differences between red and white wines, they are both enjoyable and offer many flavorful options to choose from. If you are looking for the largest wine selection in the area, stop by Rabun ABC Package store. They have an impressive selection of high-quality wines to suit any taste bud. Call them at (706) 782-6937. You can also visit the website for more information on Clayton’s premier alcohol supplier featuring the area’s largest wine selection.